Hi, I use HR Block to do my taxes myself, and while I am relatively new to doing my own taxes; I as stunned when I only received $seventy five dollars return for over four thousand dollars of prescription and copay from last year. I am still struggling with an illness and cannot believe that is what I have to look for ward to. Did I maybe do something wrong in my entry? I starting using essential oils for my arthrists. Can these be deducted on my federal income tax.? If I have a prescription from my doctor for massage for pain relief, can that be considered a medical deduction? Yes, if it is part of your medical treatment, massage therapy may be tax deductible. Had a problem trying to claim medical expenses on turbo tax for my wife. Once done entering all the information and deductions it asked if she received a publication 502 from the IRS. She did not so I said no. Well then she could not get the tax exemption from her medical expenses because I said no. What went wrong? Her medical expenses are over the 10%. Thanks for your help. I had to have a total thyroidectomy in October 2014 due to thyroid cancer. The total bills that I owe for everything they did (diagnosis, tests, surgery, medication, etc), do total more than 10% of my gross income. Can I deduct what I owe, or only what I have actually paid? I am making monthly payments on the total amount owed. You can deduct only what you paid. What about if the amount was transferred to a collection agency and monthly payments are being made to pay the medical bill? Can I deduct at end of year my monthly premiums for my health care. On taxes. I pay I monthly costs and I am seeking to see what options I have. If you pay the medical insurance out of pocket and not threw your employer they are deductible. I am traveling weekly to have my daughter’s medical condition treated and must use vacation time I would otherwise be allowed to accrue over time. I now the travel expenses are deductible, but can I deduct the value of that vacation time I am compelled to use rather than save? My daughter is bipolar and I am paying her medical bills, She 100% depending on me. But she is doing a part tiem job, and as of now her total income is $3,300. If her income exceeds $3,900 can I still claim her medical bills as part of my Medical deductions for my 2014? My husband has parkinson’s disease . I think the cost of a home health aide would be tax deductible if over 7 1/2 of my income. In our case 7 1/2 % of my retirement income is in the neighborhood of roughly $30,000. Does this mean that I pay the first $30,000 and can only deduct the amount over $30,000? Can central air conditioning cost be counted as a tax deduction? We never claimed the cost of chair lift . Can I cliam this year? I am on Social Security Disability and 58 years old. I pay for a supplement also. Are my deductions from my Social Security deductible? Are my payments for the supplement deductible? What about my out of pocket expenses? If I had lasik in December 2013 can I deduct it in 2014 on my taxes? Is it when you paid it or when you had it done? It is based on when it is paid. If you charged the expense on a credit card in 2013 then you can still claim the medical expense on your taxes. I financed dental implants for 12 months no interest. I will make 8 payments in 2014 and the remaining 4 in 2015. Do I claim the entire cost of the implants in 2014 or just the amount of the 8 payments in 2014 and the other 4 count in 2015? Am I able to deduct medical payments that had aged enough, that they were turned over to a collection agency? Minus the interest charges of course. Friend with severe Alzheimer in Assisted living Facility. Is cost considered a medical expense? Hi, A person is on total disability and self-employed part time. In the past (before 2013) he has been unable to do even part time work. Continued medical treatment (from a Psychologist for a psychiatric disability) was necessary to enable him to work in 2013. ( Note, he started treatment years before and starting to work was part of the process of recovery). So… Disability Related Work Expenses can be claimed even if they are below the 10% of AGI threshhold that applies to regular Medical Expenses (or 7% for older folks). A reader for a blind person, wheelchairs, etc necessary for work can be claimed as Disability Related Work Expenses (DRWE’s). My question: Can the cost in 2013 of treatment by the Psychologist as mentioned above be claimed as a DRWE, rather than as a regular medical expense? It would make a big difference in the return if it could.Thank you. My husband was in the hospital Dec.of 2013. we did not receive bills until Jan.2014 consequently they were paid in 2014. Can we claim them in 2013 or must we wait until 2014? If i get elective cosmetic surgery for my eyes to improve my vision for work, can i claim that in my taxes or no?? I have been seeing a Chiropractor for back pain and would like to have a breast reduction due to back pain also. My insurance is terrible and will not cover this. Would this be something I could claim if I pay out of pocket or would this be considered cosmetic?? I had to have a dental extraction on a front tooth and the dentist recommended an implant. Is this an allowable medical expense. I am trying to figure out if we qualify for this year’s health care deduction. This is the first year we have had any real issues. My husband had surgery and so did my son and daughter. We do have family insurance paid before tax dollars. Is this 7.5 deduction the total billed amount or the copayment due after insurance payments? You can deduct medical expenses that are over 10% of your adjusted gross income (New for 2013 7.5% if your 65 and older). So if your adjusted gross income is $50,000, you can deduct your expenses over $5,000. This would include medical bills you paid and copayments. If I have an adjusted gross income of $20,000, and my medical bills are around $4,000, how much of the over 10%, $2,000, will I get back according to this years rules, or for 2015? We’ve been paying a collection agency for past due hospital bills. Can this be claimed? Can you deduct payments to an agency for services rendered by a home health care aide? This is not nursing but assistance with normal living fuctions. The aide was hired for necessary bathing and helping an elderly dementia person who is severely disabled and in need of 24/7 care. I had gastric bypass and as a result have terrible stomach problems. Along with prescribed meds I have to consume 1/2 a bottle of tums each day. Dr says its ok because I have malabsorption. How do I deduct them and what else can I deduct as weight maintenance and needed care? or just the medical expenses actually incurred through my hospital surgery (5000.00) deductible? If you pay with after-tax dollars (and you probably do since you’re retired), then yes. Hello – can you deduct the amount for braces, headgear, and bite plates from the orthodontist to prevent the growth rate of my son’s bottom jaw? Wasn’t sure because it only mentions a dentist as tax deductible and not an orthodontist. Yes. An orthodontist is a dentist who specializes in the field. It should be covered if it’s a valid form of treatment. It sounds a bit extreme to me. Make sure you get a second opinion. IRS Publication shows Lodging expense costs are limited to $50 dollars per day. Me and my wife accompanied our daughter for treatment at a out of state hospital. Can we deduct $100 or $150 per day for the 2 days we spent making arrangements and discussing her treatment plan with the physicians at the hospital? Our daughter was an in patient resident. Are there any limits on the time spent away for the husband and wife to claim a lodging expense while the child is institutionalized for her illness? No, sorry. Only the patient can deduct health expenses. You went with your daughter as concerned parents. You did not travel there to get treatment. You should think of it as something you would normally do to help out a child of yours. I just had an emergency appendectomy. I have gotten bills from the surgeon, Radiology, E.R., Hospital, and Anesthesia. It comes out to over $42,000 and I am just going to make what payments that I can. Do I just deduct whatever payments I have made at the end of the year? Yes, you can deduct the amount over 7.5% of your adjusted gross income when itemizing. I am disabled and broke my foot. I had to buy a ramp to get in and out of my home can I claim that as part of my medical expenses? If a doctor prescribed the ramp, then you can deduct the amount over 7.5% of your gross adjusted income, if you itemize. Hi! My husband uses a CPAP machine (which goes through insurance) and we were wondering if the supplies that he uses with the machine (nose gel pads and filters) can be paid for through the Health Savings Account. Thanks! Yes. Definitely. The per mile charge will be in the instructions of your tax form. This year it’s 24 cents a mile. Can I deduct the cost of having someone else travel with me for treatment . NIH Is paying my travel, but can i deduct the travel expenses of having someone travel with me. If you can prove that person is necessary for you to get to where you need to go, such as a driver or an aide, then you can. But if it’s just a companion, you can’t. A letter from your doctor saying this person is necessary to accompany you can go a long way if the IRS audits you. I’m not a tax expert, but your medical bills are your medical bills. It doesn’t make a difference if it’s for a disability or not. If your doctor says you need something, then get a letter saying you need that item as proof if there’s an IRS audit. what if my Chiropractor writes me a prescription for a hot tub as part of my back treatment? is the portion above my 2% deductible? Well, the medical deduction is now medical bills over 7.5%. You can try to deduct the portion above that. Make sure you get a letter from your doctor and you might want to run it by your accountant. I have been prescribed cold therapy for treatment of nerve pain. Can I deduct as a medical expense my ice packs? Are these special expensive ice packs? You can buy ice gel packs for $10 or $20 at the drug store. If you get a letter from your doctor, you can certainly throw them into the rest of your medical deductions, but the total amount of your medical expenses has to be over 7.5% of your adjusted gross income. Good morning. I have 2 questions. My husband has routine PET Scans that sometimes are not covered, costing up to $8400.00, can we deduct these from our 2013 taxes. Also, we have had to rent a wheelchair ramp for 12 weeks for recovery from surgery. Is this rental, not paid by our insurance, a tax deduction. I’m not an expert, but you should be able to deduct your medical expenses over 7% of your adjusted gross income from your taxes. Keep in mind you will have to itemize your taxes. You cannot just take the standard deduction. As for the ramp, make sure you get a letter from your doctor recommending such a ramp and it should be covered. Ive been told I can deduct my gastric bypass surgery expenses? Im also wondering about the specialty vitamins and protein supplements required after surgery? They can cost a couple hundred dollars a month. As long as your doctor has diagnosed and prescribed this method to mitigate a disease such as obesity and high blood pressure you can deduct the costs of the surgery. Vitamins and supplements would not qualify unless they required a prescription from your doctor. 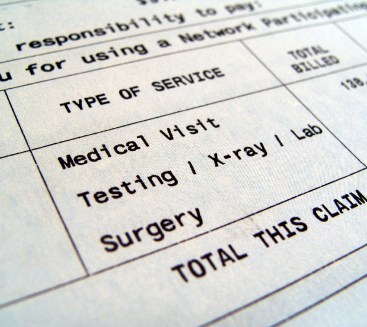 Your surgery expenses must exceed 10% of your adjusted gross income starting in 2013. If your surgery was done in 2012, your expenses would need to exceed 7.5% of your adjusted gross income on your 2012 tax return. TurboTax will ask you the necessary questions and calculate the deduction if you’re eligible. are repairs to meet ada accesability standards on my primary residence now that i am chairbound deductable? My daughter had to have dental implants placed this year through an oral surgery… She was born missing two of her front teeth. Can I deduct any of this expense? You can deduct the dental implants as long as they were not for cosmetic reasons. You can deduct your expenses that exceed 10% of your adjusted gross income. TurboTax will ask you the necessary questions and calculate the deduction you are eligible for. i’m curious as who will be the judge if is cosmetic or not?my doctor told me implants were the only way to go.how often this type of deduction triggers an audit? Help me I’m late and Drowning. Where is my Social Security report, forms, return? Robin S.
Is massage therapy a deductible expenses? Yes you can deduct the cost of hearing aids, batteries, maintenance, and repairs. if it is like a physical therapy to relieve pain, I believe it is.